The OpenSpending community cares strongly about making the OpenSpending tool and resources available in as many languages as possible. OpenSpending is used to analyse and visualise spending data from more than 70 countries. We want to make the OpenSpending site available across an equally wide range of languages. You can help broaden OpenSpending’s accessibility by translating OpenSpending, which you can do by means of a simple Transifex-based process. OpenSpending translations are made using Transifex. Transifex is an open translation platform that provides a simple web interface for writing translations. Using Transifex makes it easier to translate collaboratively, and many translation projects have benefitted from sharing the workload with Transifex. You can find all current and already completed translations of OpenSpending at our Transifex site. The first step to contributing a new OpenSpending translation is to go to OpenSpending’s Transifex translation site to see if a translation into your language has already been completed. If your language has already been done, you can use it as the default language on OpenSpending.org simply by choosing it in the right corner under “Languages”. To add an new language to OpenSpending, go to this section on Transifex. If you cannot access this section, send us a request on the OpenSpending mailing list. If you would like to be added as an administrator so that you can add other translators, just ping us there as well! Transifex represents translation projects as sets of “strings” that must be translated. We have already loaded OpenSpending’s strings onto Transifex, and you are able to go ahead and work on your language by translating these strings. Remember to invite friends and colleagues to join, as this makes the process a lot faster. When you have completed the translation in Transifex, simply ping the OpenSpending developer list, and the proper update will be made to the OpenSpending repo. Whether you’re a beginner having your first look at OpenSpending or a programmer looking for ways to use the OpenSpending API, we have created a useful guide to get you started with OpenSpending.  The OpenSpending Guide is already available in six languages, but you can help make it available in more. You can begin translating simply by going to the OpenSpending Guide manuscript saved in this GoogleDoc and creating a copy to serve as your translation’s base. We are working on developing a translation methodology for the handbook, but its source files are available on GitHub, and users can simply fork the repo to begin work on a new translation.